Cut beef into 4-inch chunks. 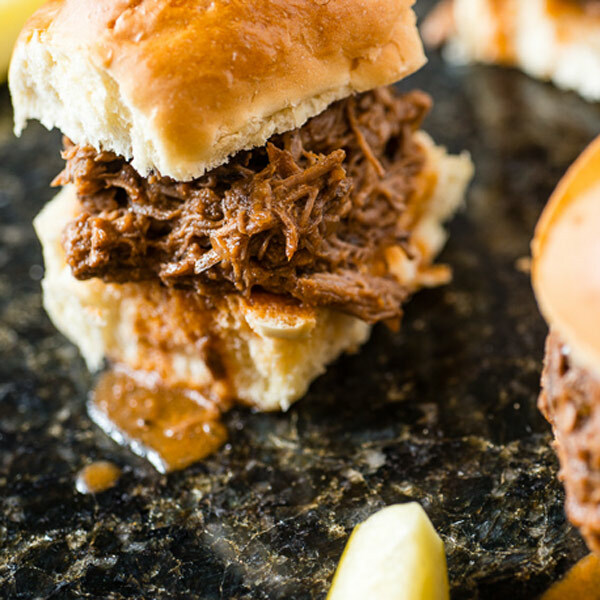 Place beef chunks in a slow cooker crock. 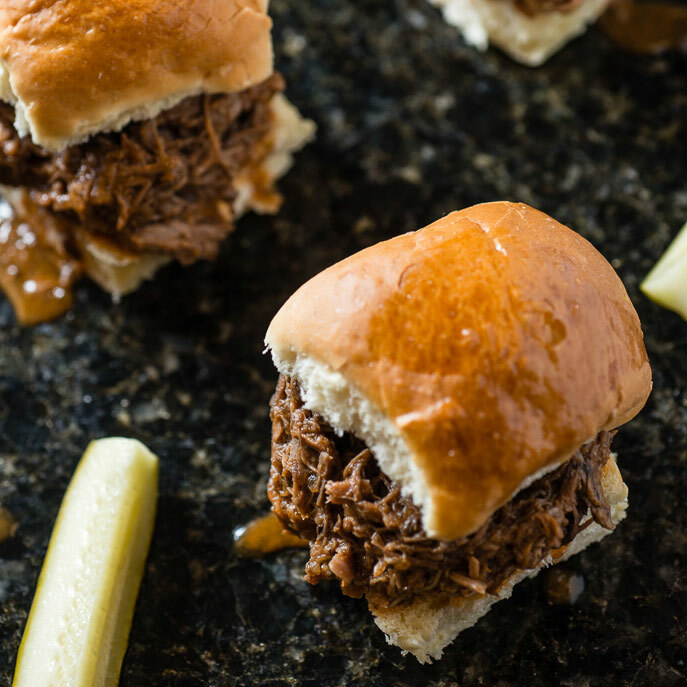 In a small bowl, combine remaining ingredients except sandwich buns and pour over beef. Stir until evenly coated. Cover slow cooker and cook on HIGH for 4 to 5 hours or LOW for 8 hours. Remove beef and shred with a fork. Discard any fat. 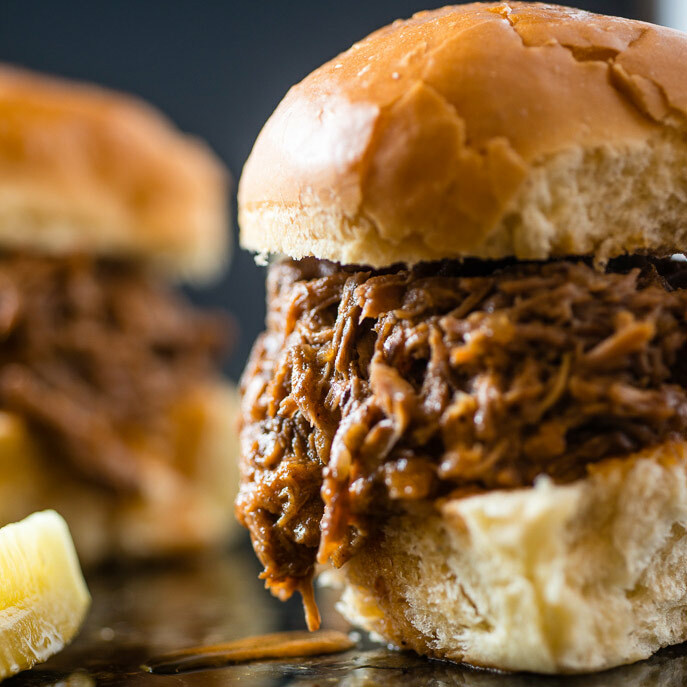 Serve shredded beef on sandwich buns and spoon on extra sauce as desired. 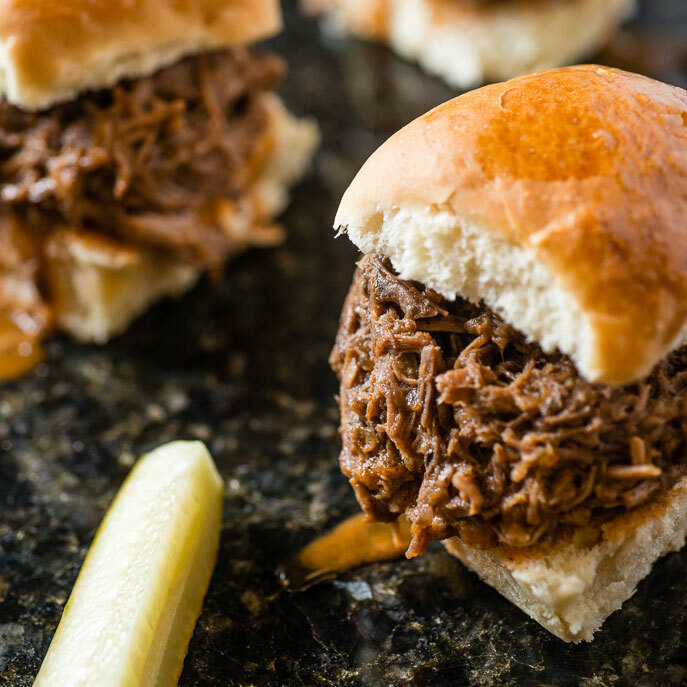 Test Kitchen Tip: Try wrapping the shredded beef into tortillas or putting it into pita pockets for a different barbecue twist.